Introducing the all new Weber Genesis II LX gas grills featuring the new GS4 system which includes an Infinity ignition, revolutionary stainless steel high performance burners, new Flavorizer bars with flame view window and a Grease Management System. The porcelain-enameled Weber Genesis II LX E-640 features Six (6) stainless steel high burners with High heat setting that produce 72,000 BTUs of power and a 12,000 BTU side burner. The Genesis II LX E series gas grills come fully equipped with 7mm stainless steel cooking grates, stainless steel Flavorizer bars and stainless steel heat deflectors to effectively hold and distribute heat evenly over the 770 square-inches of cooking grates. The Tuck-Away, Elevations compatible warming rack provides an additional 228 square-inches for a generous 998 square-inches of total cooking area. The Genesis II LX grills come equipped with a Grease Management System that makes clean-up as easy as possible. The porcelain-enameled hood has a center-mounted thermometer to monitor cooking temperatures and has painted cast-aluminum end caps. The Genesis II LX E series grills are iGrill 3 ready, have lighted control knobs, two (2) handle lights and features an LED fuel gauge on propane gas models. The welded tube frame with enclosed cabinet includes two (2) shelves inside the cabinet for storage and two (2) side shelves, providing much needed prep space and two (2) heavy-duty locking casters and two (2) large wheels. 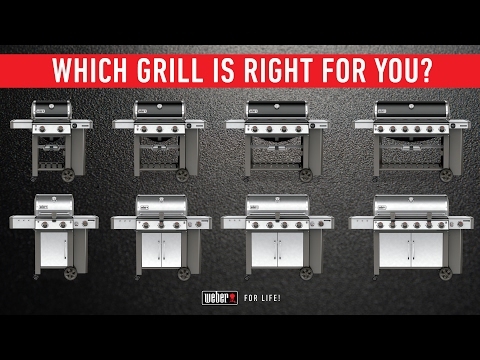 The grill is mostly pre-assembled, allowing you to start grilling right away. The propane tank is stored to the side, freeing up the shelf space under the grill and has a tank shield that keeps the tank out of view. Three (3) convenient built-in tool hooks keep your BBQ tools nearby. Cooking Grid Dimensions 40 5/16 X 19"
I had a Weber Platinum B6 and just got the new Genesis® II LX E-640 Gas Grill and love it, I gave my son my old grill and all could say was I have a Weber Grill. I love the ease of use and results on a Weber grill. 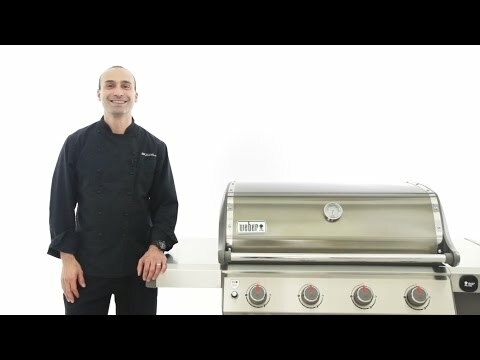 You can control the grill not the grill controlling you. So, I have owned four Weber grills and probably biased at this point, but really amazing grill. I have two hungry boys at home plus my wife and myself. I had the e-340 for about 8 years and loved it. However needed more room. The boys eat their own steaks and like some appetizers now too! I almost got the e-440 but needed more space. The summit is awesome but you lose a bunch of burner space for the smoker so opted for this one. I am so happy. I cooked four porterhouses, 3 skewers of shrimp and scallops on a Himalaya salt rock, plus sautéd onions on the side burner all at once. Assembly was easy and cooking in about 1.5 hours. 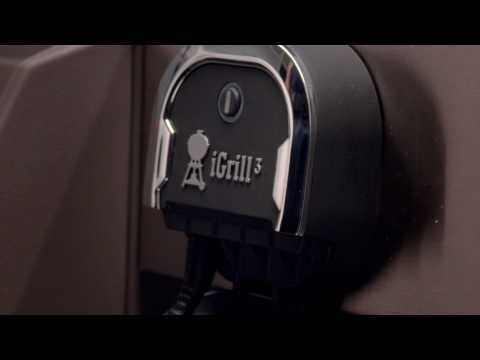 The only two drawbacks are the igrill 3 as posted by many others that lacks a display unless on the phone and the second is the aesthetics of seeing the propane tank. I wish the skirt was just a little wider to hide. I love my new Genesis ll LXE-640 grill. I had a Spirit before for years. It was a great grill. But with the Genesis LXE-640 I have much more grilling area. Took a little while to get use to it, now everything is great. Happy I up grated. We bought our grill a few weeks back and we love it. Best grill I've ever owned. So many Pros to list. The only Con would be is that the tank is visibly hanging on the side of the grill vs. enclosed. This grill was purchased to upgrade from my old Genesis Gold B that I bought in 2001(which is still kicking BTW). I just needed more grilling real estate. I really love all of the new features, the LED lit control knobs, the fold down warming racks, the propane level indicator, the cut-outs on the flavorizor bars that make it easier to see if the burner is lit, and the igniters on each control knob Two things I wish it had was an enclosure for the propane bottle, and beefier wheels, but that's just aesthetics. This grill is so beautiful, I didn't even want to use it and dirty it up. I do recommend the Weber grill/grate cleaner. I have never used a grill cleaning product that actually does what it said it would do, so easily! I also recommend purchasing the cover to protect this grill. Bottom line AWSOME grill!!!! We bought this grill for a big 4th of July party. We did quite a bit of research before deciding on this one. Based on everything we found online, buying this one was an easy choice. It is the best grill we have ever had. It cooks evenly and has so many extra features that you just have to see it for yourself. We love this grill! Purchase this grill just prior to Memorial Day. Broke it in that weekend. Love it. I have had this for almost a month and I love it! Still able to cook in direct with all the burners and the food tastes great coming off. Was even able to slow cook ribs cause I was able to regulate the temperature! I would highly recommend this grill. Great product, huge cooking space. It does burn through propane quick but it's worth it. The searing station is a must for those who like steaks. We use this grill a few times a week. We love the even cook quality Weber offers. 40 5/16 X 19" 40 1/2 X 18" 36 7/8 X 18" 36 7/8 X 18"